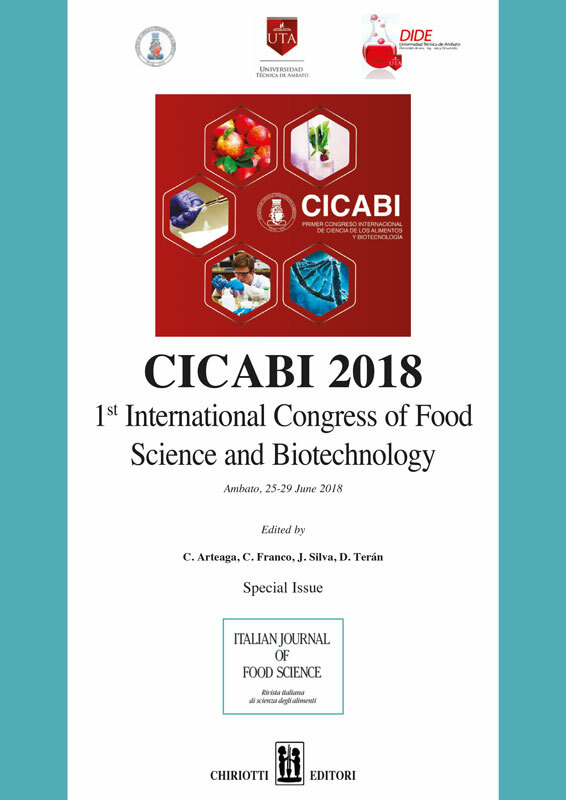 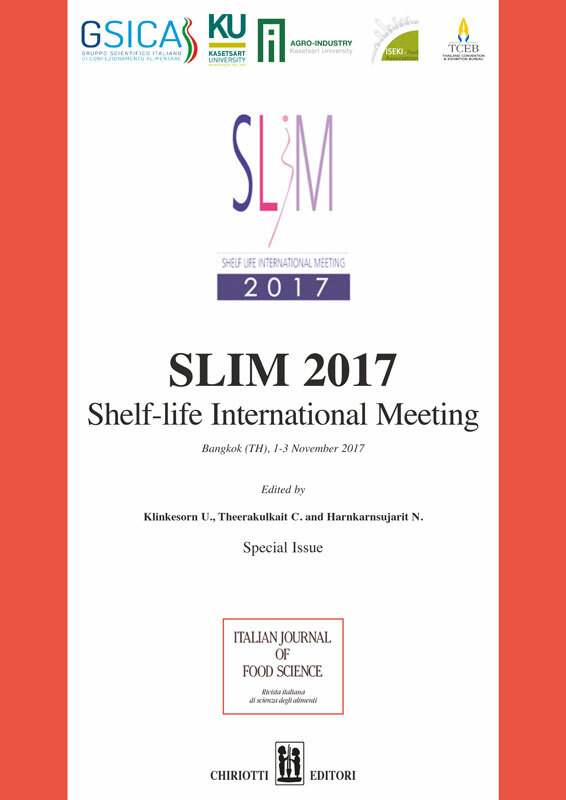 CICABI 2018 - 1st International Congress of Food Science and Biotechnology - Special issue of "Italian Journal of Food Science"
SLIM 2017 - Shelf-life International Meeting - Special issue of "Italian Journal of Food Science"
This Special Issue of the Italian Journal of Food Science collects the presentations given at the “SLIM 2017, Shelf-Life International Meeting” organized by the Italian Scientific Group of Food Packaging (GSICA), the Department of Food Science & Technology and Department of Packaging & Materials Technology, Faculty of Agro-Industry, Kasetsart University, Thailand, the ISEKI‐Food Association (IFA), and Thailand Convention and Exhibition Bureau (TCEB), held in Bangkok, Thailand, on November 1-3, 2017. 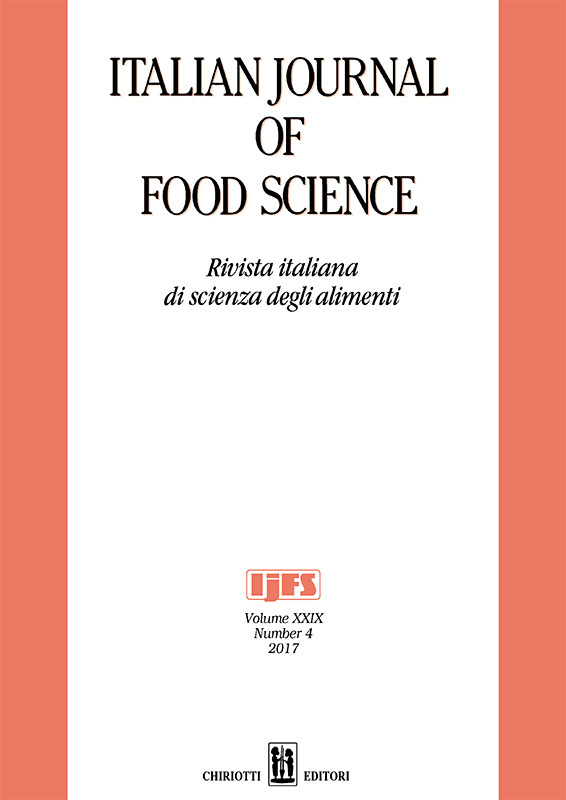 These papers were reviewed by the Scientific Committee of SLIM 2017 before their presentation but they did not undergo the conventional reviewing system of the Italian Journal of Food Science. 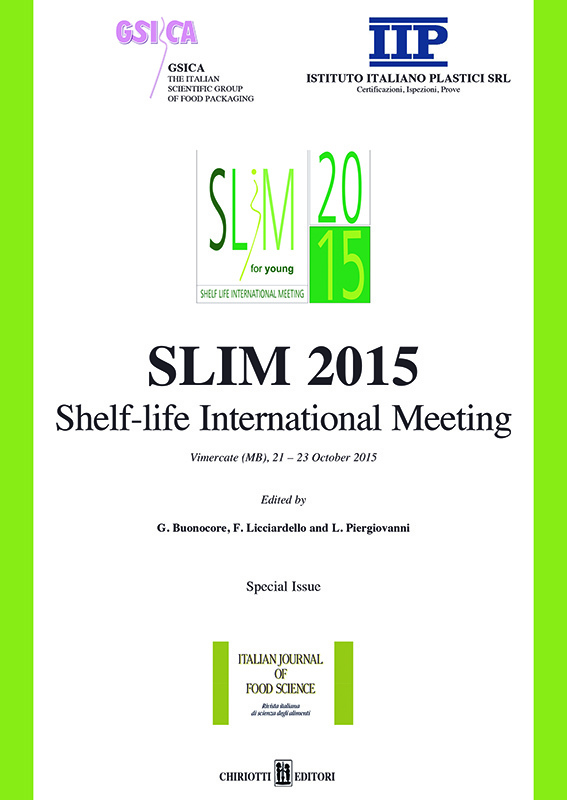 SLIM 2015 - Shelf-life International Meeting - Special issue of "Italian Journal of Food Science"
This Special Issue of the Italian Journal of Food Science collects the presentations given at the “SLIM 2015, Shelf Life International Meeting” organized by the Italian Scientific Group of Food Packaging (GSICA) and Italian Institute of Plastics (IIP), held at Vimercate (MB), Italy on October 21-23, 2012. 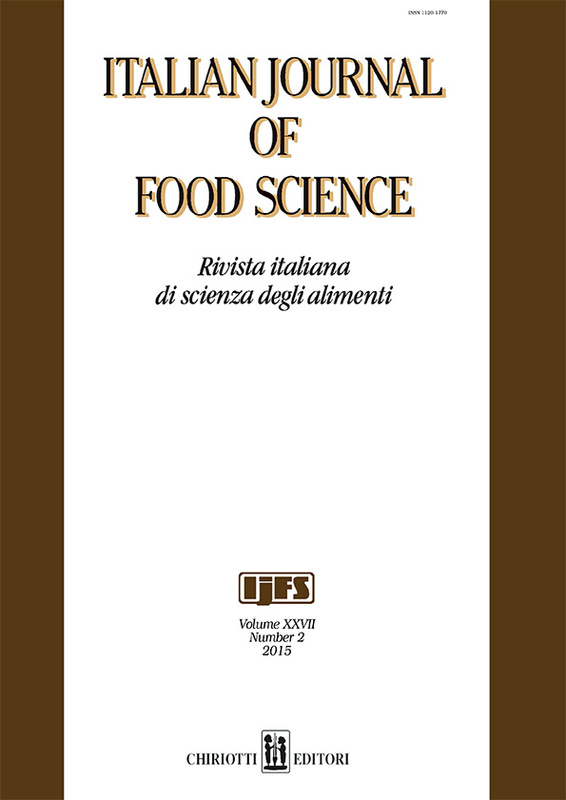 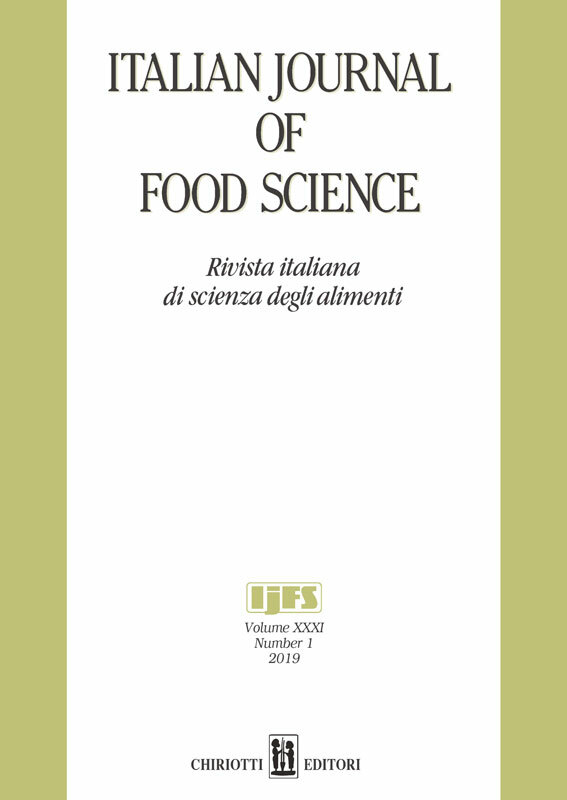 These papers were reviewed by the Scientific Committee of SLIM 2015 before their presentation but they did not undergo the conventional reviewing system of the Italian Journal of Food Science.